In addition to managing the NYLCV email campaigns, I also managed the social media channels. Some of the posts I’m most proud of came from campaigns we worked on in New York City with coalition partners, most notably a bill to reduce disposable bag waste by implementing a 10 cent ban. To raise awareness about this campaign, we worked with elected officials and other nonprofits to challenge New Yorkers and City Councilmembers to go a whole week without using a disposable bag. I came up with the name BYOBag and encouraged people to use that hashtag. It caught on and is still being used, even as far away as Hawaii! Pictures from Student Lobby Day, when middle and high schoolers from every borough met with City Councilmembers and asked them to support the disposable bag fee. The Department of Sanitation started using the slogan for their city wide campaign to get more people to use reusable items like bags and coffee mugs. 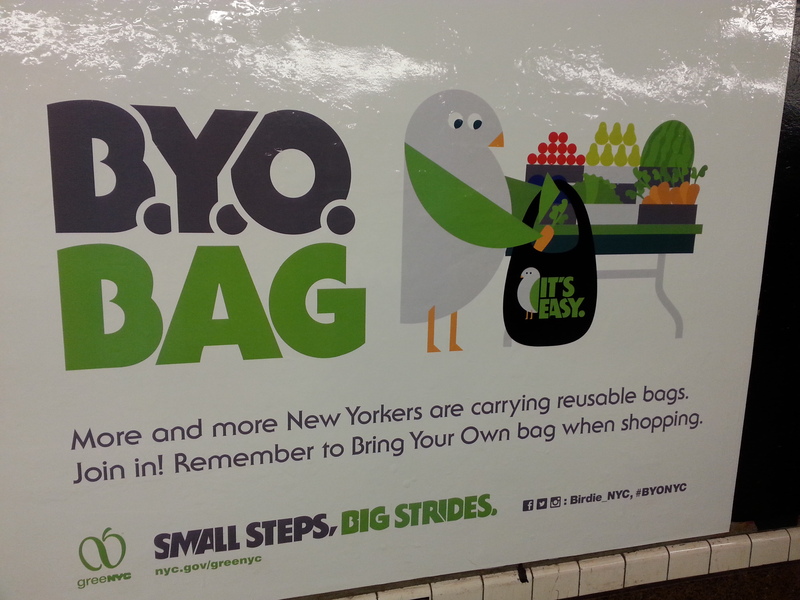 BYOBag campaign in the subway. We used the news of a Styrofoam ban in New York City to keep the momentum going. 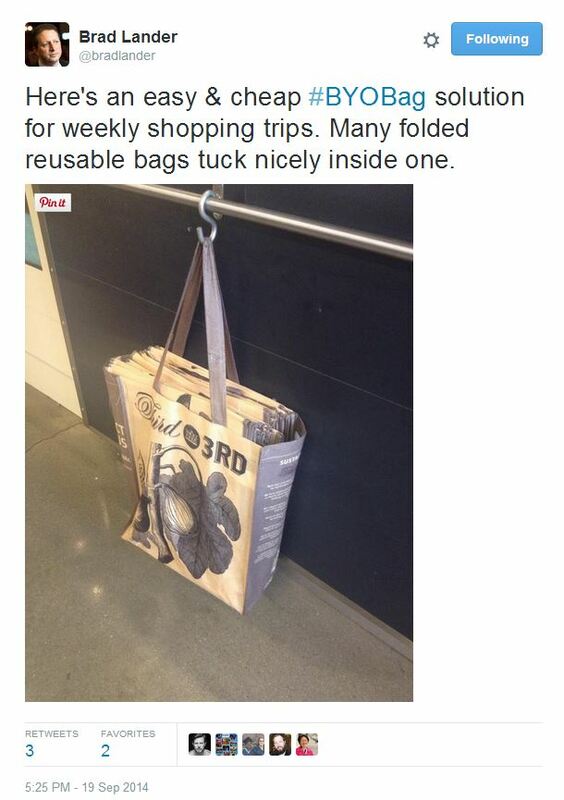 I produced the image included in this tweet and the #PlasticFreeNYC which many people used when discussing the ban. This entry was posted in New York League of Conservation Voters and tagged byobag, city council, environment, facebook, new york city, nyc, nylcv, plastic bags, social media, twitter, waste. Bookmark the permalink.